Tis The Season Christmas Shoppe, Ohio's largest year round Christmas store, is 20,000 square feet of Christmas wonderland! 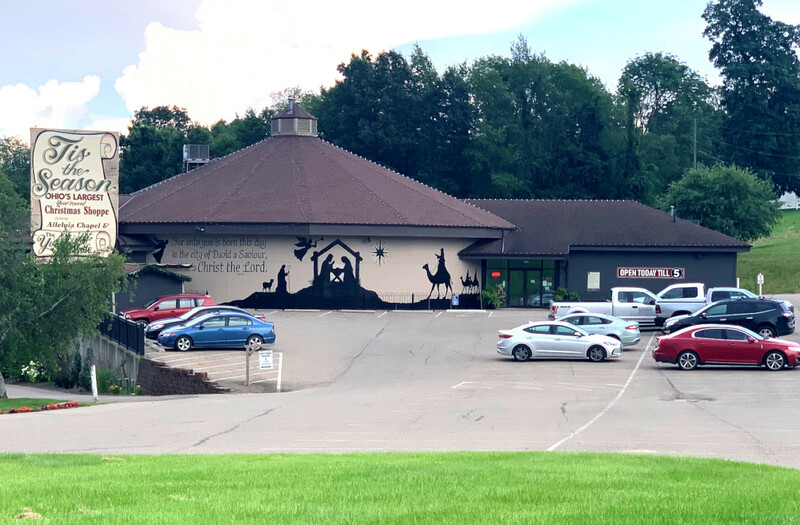 Located in the heart of Amish Country in Berlin Ohio, this unique store is located in an 80' round building that adds to the charm of this one of a kind shop. We opened in 1996 with our first expansion in 2000, and now offer thousands of ornaments, garlands, tree toppers, and more than 100 varieties of lights. This makes your trip to Tis the Season well worth it. You'll see more than 70 decorated trees in themes from hunting and fishing to Victorian and traditional. Tis the Season is a one-of-a-kind Christmas shop. Our goal is to provide the unique as well as the traditional Christmas items at an affordable price in an amazingly decorated and fun atmosphere.